I'm back! Well, I've really been here since midweek, but am just returning to the blog today. My sisters and I had a great time in Florida. I'm pleased with the renovations and we were able to put everything back together again. I can focus on decorating this winter. Last Sunday was my father-in-law's 87th birthday... I'm so glad we were there to celebrate with him! The weather was pretty much what I expected. Although it only rained once, it was extremely humid and never cooled down at night. However, the ceiling fan we installed on the lanai made it very comfortable to be out there after sunset. We celebrated my birthday when I got home, and the rest of the week has been a blur of summertime activities. 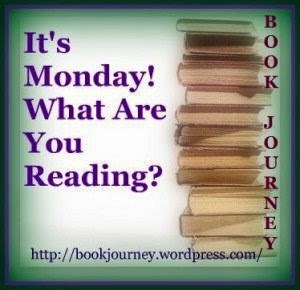 Reading// Believe it or not, there was no reading at all for an entire week! 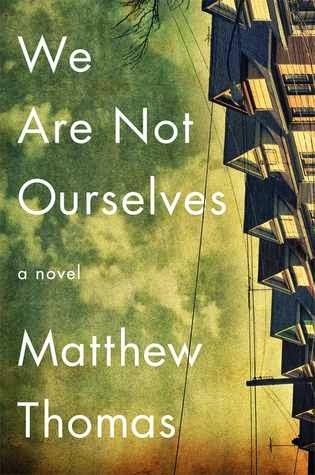 Before leaving for Florida, I looked at the opening of We Are Not Ourselves by Matthew Thomas (due to be released next month) and was captivated. I picked it up again a couple of days ago and am now at the halfway mark. The length of this novel initially intimidated me (640 pages), but it reads quickly and doesn't feel that long. I'm really enjoying this one! Listening// Again, other than a couple of hours on the plane, there hasn't been much listening either. 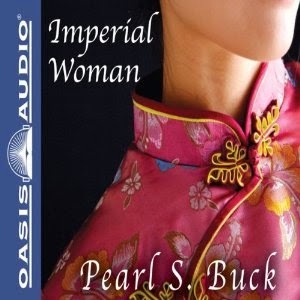 I started Imperial Woman by Pearl S. Buck - which wasn't even one of the three books I had been considering. I also have a copy on my kindle, so this has become a read/listen combination. It tells the story of Tzu Hsi, the last empress of China, and although it's just okay so far, I have a feeling it will get better. My #100happydays project was also on hiatus, but I did share a birthday dessert, new stationery supplies, and a shady afternoon reading spot. In the kitchen// There was not much happening in the kitchen this week, but I did try Sarah's recipe for crab cakes last night. My husband said they were the best ever! This weekend is our library's annual book sale. On Friday evening I attended a special preview event for Friends, complete with wine, cheese, and music. I'd planned on exercising a little restraint, but still ended up with fourteen books. I'll highlight the stack in a post later this week. Later today we'll go out on the boat (if the weather improves) and have my family over for dinner. What's new with you this week? Jill - I do know what you mean... I need to find out what happens to these people. Welcome back and belated happy birthday! We are not Ourselves sounds like a fascinating read! I like it when such big books read really fast! Athira - Thank you! Really long novels can sometimes drag, but I'm not finding that to be the case here... hope it keeps up. Yeah, the humidity is oppressive. Sometimes I can barely even breathe out there. And I sweat just walking from point A to point B. I never get much reading done when I'm vacationing, especially when there are kids and family around. Our audio time SHOULD pick up now that we are both home. Hope you had a great birthday! Happy late birthday to you!! I can't believe another month has flown by. I've resigned myself to the fact that vacations are just not for reading (it's actually what prompted my post for today). Though now with the kiddos taking naps I can at least have some excuse for staying in with my book. Sounds like you had a great trip to Florida nonetheless. Those crabcakes look delicious! As do the green beans. I think I see some of these in our near future! Trish - My sisters and I just talked constantly... stayed up way too late every night! They both brought books, too, but we just laughed because none of us read even a single sentence. I just happened to see the crab cakes recipe in Sarah's Weekend Cooking post yesterday and since I had crabmeat in the freezer, I just had to try them... simple and delicious! I am glad that We Are Not Ourselves is totally engaging...that makes long books seem to fly. After all, I read GWTW a few times! Those crab cakes are making my mouth water....sigh. And the Pearl S. Buck book must go on my list. Thanks for visiting my blog...and enjoy your week. Happy birthday! 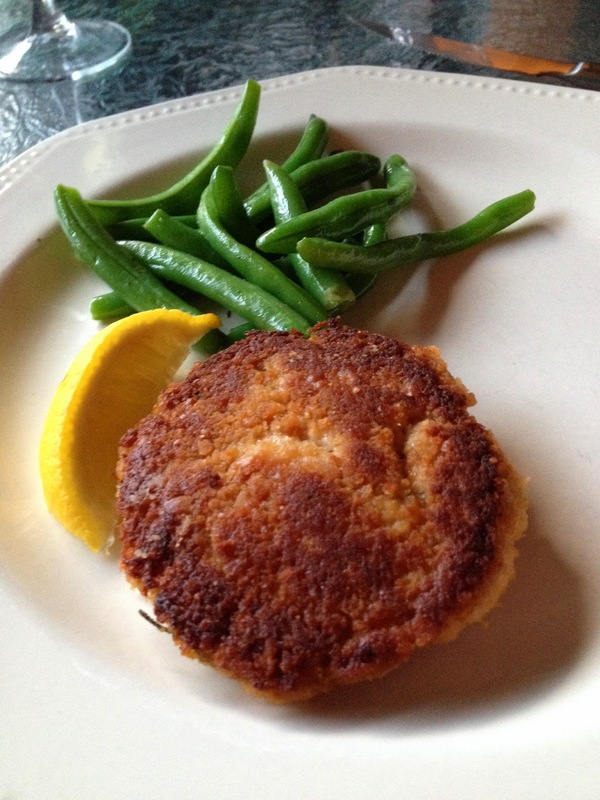 Your crab cake dinner looks fantastic. 14 books is tons of restraint at a library sale. Those things are dangerous. Glad you had a nice vacation. Have a great week! I often don't get to read on vacation if I'm going to be with extended family. Too much life happening. I do occasionally read if it's my husband and kids. I read while they relax with TV in the evenings. I'm drooling over your crab cake picture. Yum! I haven't eaten those in forever. A 640-page book would intimidate me too. I start getting nervous around 475 pages, lol. I've always wanted to read the Outlander series, but darn it, all the books are sooo long! Diana - I'm also intimidated by the Outlander series... so many books and all of them so long!! I would not do much reading either if I were on vacation in Florida/ Welcome back to the blog! Wow--I'm impressed with your library sale! Wine and cheese and music--that is just too cool! Our early Friends viewings never offer such goodies...not that I'm complaining, first dibs on all the wonderful books is plenty awesome. Glad you had a lovely birthday! dastevensish - They kicked things up a notch for the Friends preview a few years ago. Love that the atmosphere is more like a giant cocktail party than the free-for-all frenzy that happens Saturday morning! Many happy returns! I'm glad you have a good time in Florida. Happy Be-lated Birthday! Everything looks and sounds delicious! Have a great week. Happy Birthday to you! I'll be very interested to hear what you think of We Are Not Ourselves! I thought about requesting a galley a month or so ago, and hesitated--not sure why (the length, maybe...). But I'm hearing good buzz, so maybe it needs to go on my fall list. Leila - We Are Not Ourselves is the first book I've requested from NetGalley this year.. so glad I did! I just requested it! I think I'm going to start it soon. Leila - Hope you love it. It's a great book, but took an emotional toll on me. Thank you for the shout-out! I'm sending this to my mother in law! I'm planning to start We Are Not Ourselves as soon as I finish my current book...looking forward to it and glad to hear you're enjoying it! After Natchez Burning, 640 pages seems short to me!! Happy birthday. I have one coming up myself at the week's end. Come see my week here. Happy reading! Kathy - Hope you enjoy your birthday celebration, too! I want to have dinner at your house. Your food pictures always look so yummy. I think it has a lot to do with the presence of the very fresh vegetables. They all look like they came right out of your garden. Thomas - Open invitation - come any time! Wegmans has the best produce (the best of everything, really). They make it easy to prepare delicious meals. And by the way, not only did I fail to wish you Happy Birthday on FB, but I failed to wish John the same as you two share a birthday. At least he was on a long business trip so I had some excuse for forgetting. Thomas - LOL, I'm sure you made up for it when he got home. Your renovation project has to be distracting, too. Judging the photos, it's going to be well worth it!! Happy Birthday JoAnn. I hope you had a great time! As we've discussed on twitter, I'm starting We Are Not Ourselves today! Will let you know what I think. Melinda - Can't wait to hear what you think! Florida in summer is always tough. The days are just so darn sweltering, but yes, the nights usually become pleasant. I'm so glad you enjoyed your vacation. Happy belated birthday and hope it was special. As someone who lived in 3 different parts of FL over the years I know too well how the humidity can get to you. A/C, cold drinks, swimming pools, and outdoor ceiling fans are your friends. I want to read your book-- I enjoy sagas about Irish families. Crab cakes, yum! Have a good one! Rita - I still can't believe the difference the ceiling fan makes outdoors, but it looks like we may have to put in an auxiliary A/C unit if we ever spend much time there in the summer. The ductwork and current unit don't seem to be adequate. Not what I want to spend money on though. I wish my library had book sales! I'm very interested in We Are Not Ourselves. I don't think I realized it was such a long book, though. I'm not much of a long-book reader. Greg - I'll think twice before heading to Florida in July again! I may save it for later this fall. Thanks for sharing your week, and I hope you have a wonderful week this week. Thanks for stopping by my post earlier today. Elizabeth - Hope you like We Are Not Ourselves... it would be a great choice for fall, too. Happy Birthday. Pearl S Buck is one of those writers I've been meaning to read for a long time. Vintage Reading - The Good Earth is excellent! I just read The Good Earth by Pearl S Buck, it was fascinating and surprisingly easy to read. Hope you enjoy Imperial Woman. Have a great week! thebookstop - The Good Earth is actually the first book of a trilogy. I gave Sons on my shelf, but it's been so long I may need to reread TGE first! Glad you had a great vacation! Those crab cakes look delicious! It has been so long since I had them. Yum! Quixotic Magpie - I'll definitely be making those crab cakes again! The title and cover of We Are Not Ourselves have me intrigued - looking forward to your review. Carrie - I hope to finish this week! Hi JoAnn, it sounds like you had a lovely time away - belated birthday wishes.